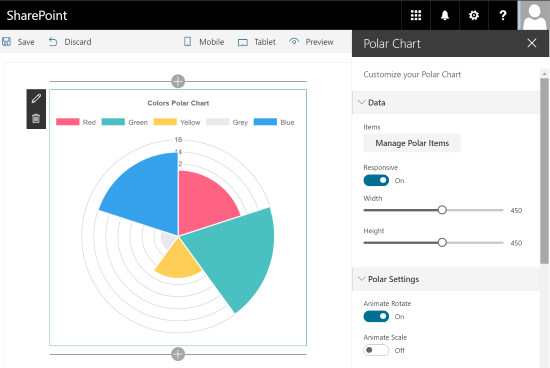 The Polar Chart Web Part is a SharePoint client side web part built with the SharePoint Framework (SPFx). This web part insert a Polar Chart in your pages, and you can manage the polar settings as items, color, title, legends, etc. This web part uses chart.js lib. This web part uses also the Custom Fields library to enhance the web part edition experience.